7 million visitors a year, diverse international fairs and congresses, a variety of tourist attractions and not to forget the passionate lifestyle of its inhabitants. Thanks to an excellent facilities Barcelona is a city perfectly prepared for any type of business event. It is regualrly one of the top hosts of international conferences in the world. Bubling with various entertaiment options and excellent cuisine, Barcelona has also become one of the preferred incentive trip destinations. 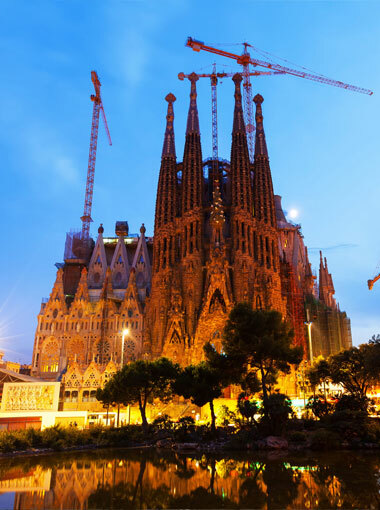 Barcelona’s offer will satisfy any traveler. From luxury hotels in Paseo de Gracia, to laid back apartments on the beach in Sitges – you will always find an option, which meets your budget and expectations. Discover its authentic character rambling from tapas bars to restaurants serving mediteranean food. Explore astonishing monuments of the Gaudi’s architecture, cheer for your team at the Cam Nou and relax on the city beaches.